Join us for a continuing discussion on Invisible People. This Sunday’s service will focus on homelessness. 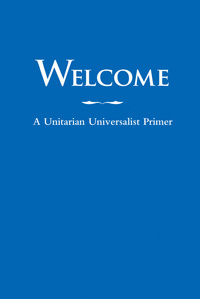 Cache Valley Unitarian Universalists is a lay-led congregation. Rather than relying on a full-time minister, members and friends of our congregation and invited guests, give of their time and … read more. This Sunday Tara Hawkins will present her first talk of the “Invisible People” series: Prisoners. She will be talking about the war on drugs, the privatization of prisons, gangs, tattoos, prostitution, and slavery. Cache Valley Unitarian Universalists is a lay-led congregation. Rather than relying on … read more. Julie Taquin will tell us about the great work The Cache Refugee and Immigrant Connection (CRIC) is doing! CRIC’s mission is to promote integration, economic self-sufficiency, and positive connections among refugees, immigrants, and the wider community. This Sunday’s service will focus on the Alternative Gift Market (AGM). Jenny Norton will give some perspective on the AGM in Cache Valley and the parent organization ( www.altgifts.org ). We will be talking about the Alternative Gift Market and how … read more. “Poems express the depth of human emotion through scenes and images created from our most harrowing or sorrowful or joyous memories. Poems help us find meaning in those memories, meaning that … read more.